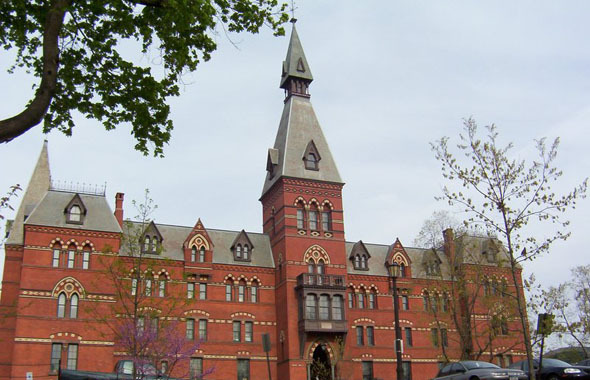 Sage Residential College was built in 1875 at Cornell University’s Ithaca, New York campus as a residential building. Currently it houses the Johnson Graduate School of Management. It was financed by an Ithaca businessman, Henry W. Sage, to advance a revolutionary concept at the time. “When you are ready to carry out the idea of educating young women as thoroughly as young men,” Sage told his friend, Ezra Cornell in 1868, “I will provide the endowment to enable you to do so.” Although women had previously enrolled in Cornell as early as 1870, the absence of a women’s domitory was problematic in attracting and retaining female students. 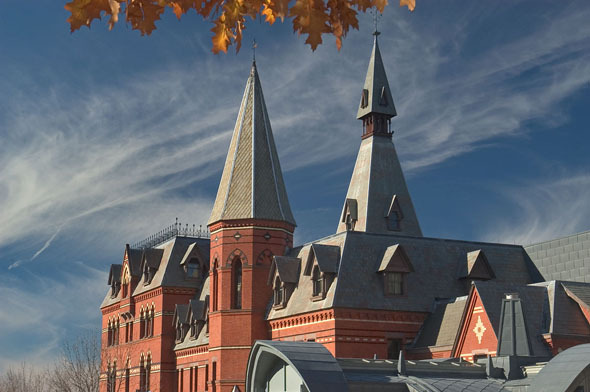 With Sage’s $250,000 donation, construction started four years later under the guidance of Cornell’s first architecture professor, Charles Babcock. In 1875, Sage College welcomed 25 female students, making the university a pioneer in coeducation and attracting a swarm of applications. 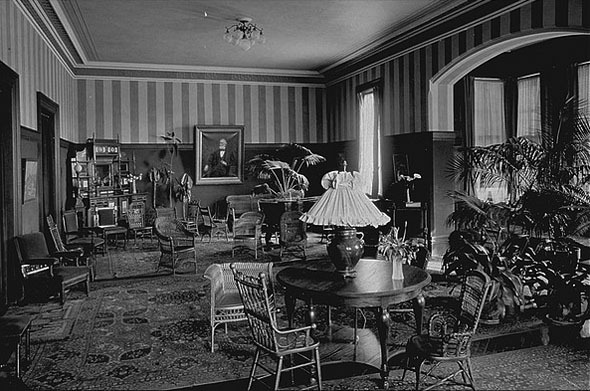 A founding member of the American Institute of Architects, Babcock equipped Sage College with a swimming pool, gym, botanical conservatory, and the highest quality furnishings and facilities in those earliest days of indoor plumbing. 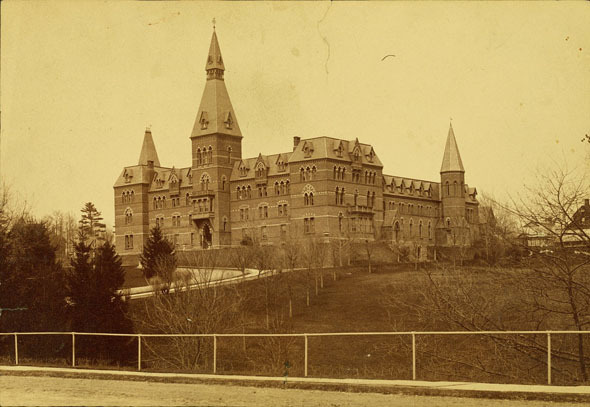 Additionally, the building contained features that defined it as a residential college as opposed to a traditional dormitory such as a dining hall, classrooms, a library, and professorial offices. It had the ability to house up to 120 students. By the 1990s the facility was significantly run down, as the University, which planned to transform the entire building into classroom space, did little more than basic maintenance. The 1994-1995 school year was the last in which Sage housed students. After 130 years as home to a residence hall, a dining hall, classrooms, and offices, the building was offered to the Johnson School in 1996. Thus ended the school’s quest for new quarters and began an ambitious architectural and fund-raising effort to completely retrofit the structure for the 21st century. In the late 1990s the university undertook a massive renovation of Sage Hall, at the cost of $38 million, to convert the building into the new home for the Johnson Graduate School of Management. The work was undertaken by a firm specializing in historic restoration, the Hillier Group. The top segment of the building’s iconic spire that had been removed years before was rebuilt. A glass ceiling was constructed over the inner courtyard changing it into an atrium.